Table tennis is not for the fainthearted. It takes effort to master the game that’s played on a small table. If you don’t have a personal coach, you can have a very long learning curve ahead of you because you don’t have someone to show you the right moves. Regardless of whether you are playing for fun or as a career, there are a few things that you must learn. The problem with most amateurs is that they imagine they can become pros in an overnight. You must be willing to sacrifice your valuable time for the love of the sport or you will never win any game. Below are tips that can help an upcoming player that’s training without a coach master the game of Ping Pong. The first step when looking to train on your own is to acquire proper training gear. The advantage of owning such gear is that you can train at your own convenience. 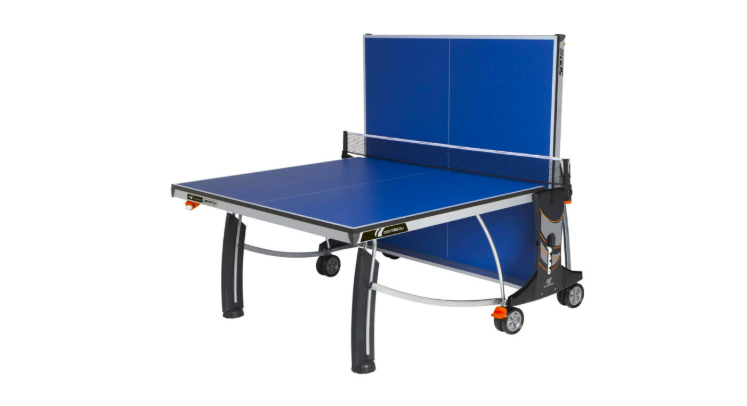 A complete set of ping pong training gear consists of rackets and a table that has an in-built net. Most table tops are designed to fold into one piece. Some even have caster wheels to enable you shift the game to a more favorable environment. The good thing is that you can shop for such gear on the internet. You should actually compare the prices of various stores to ensure you get the best deal. You can go to gameroom.reviews and find top rated ping pong gaming products. If you want to perfect the game, you must commit yourself to practicing regularly. Don’t wait until when there is a tournament to train. When you train for the sake of participating in a contest, you will be tempted to skip crucial steps. Training should actually become your lifestyle. No matter how busy you are, you should create some time for training. When you train regularly, you will be able to get rid of common mistakes that usually give your opponents an edge. The good news is nowadays you can practice even alone at home, with the help of outdoor ping pong table and with the table tennis robots. Though you won't get benefited as equally as when you practice with the human, but it will surely help you to increase your accuracy. For motivational purposes, you should team up with other guys that love the sport so that you can be training together. For you to be able to beat an opponent in the game, you must learn how to counter their actions. When you take a keen observation of how your opponent is spinning you can be able to predict the speed and direction of the ball. When your opponent moves the racket from low to high, you should be prepared to make a back spin and when his racket moves from high to low, you should respond with a top spin and vice versa. There is not much you can achieve without being patient. It takes time to become a pro. If you do your own research, you will realize that those who record the impressive performance have been playing ping pong for quite some time. Instead of being too hard on yourself, you should appreciate every step you make. And when you get into the game, you should wait patiently for your opponent to drop his guard and close in on the opportunity. The worst mistake that you can make is to stand at one point. Although the playing area is pretty small, you should move as much as possible to increase your chances of hitting the ball. Bending and twisting while standing like a statue always works against you. This is because you will not be able to make flexible moves. Moreover, trying to reach for the ball without moving your legs means that you will delay in stretching back to a ready position considering that the ball moves randomly across the net.